At the symposium, Sirris will present some insights gained from the work performed in the NeSSIE project. 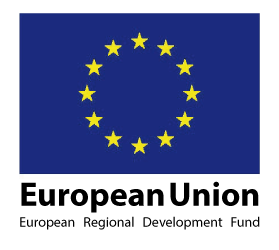 This European project revealed that offshore windfarm owners are starting to investigate the possible added value of corrosion monitoring. The goal of NeSSIE is to transfer knowledge from other sectors to the Offshore Renewable Energy (ORE) sector. However, on this particular topic, there may be an opportunity to also transfer knowledge the other way around. Corrosion monitoring of ORE structures is still in its infancy and manual inspection will likely remain necessary in the near future. Still, a number of lessons have already been learned in a search for the economic potential of corrosion monitoring. By sharing what the ORE sector experiences and inviting the maritime sector to do the same, further development of the potential benefits of continuous monitoring may be accelerated. What is maritime corrosion and how can we fight it? What is maritime fouling and how can we fight it? All talks are aimed at a wide audience of industrial and scientific background alike. 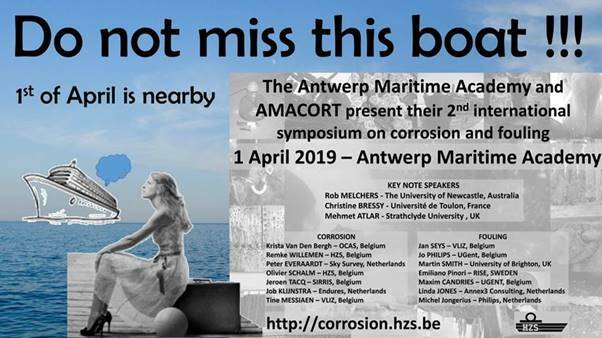 The objective is that this symposium is accessible to everybody with a sound interest in corrosion and fouling in a maritime setting.